The renowned folk band “Show of Hands” put on a performance to remember last night at the Lighthouse Poole for a one night gig as part of their “Where We’re Bound” Show Of Hands Duo 2018 tour. 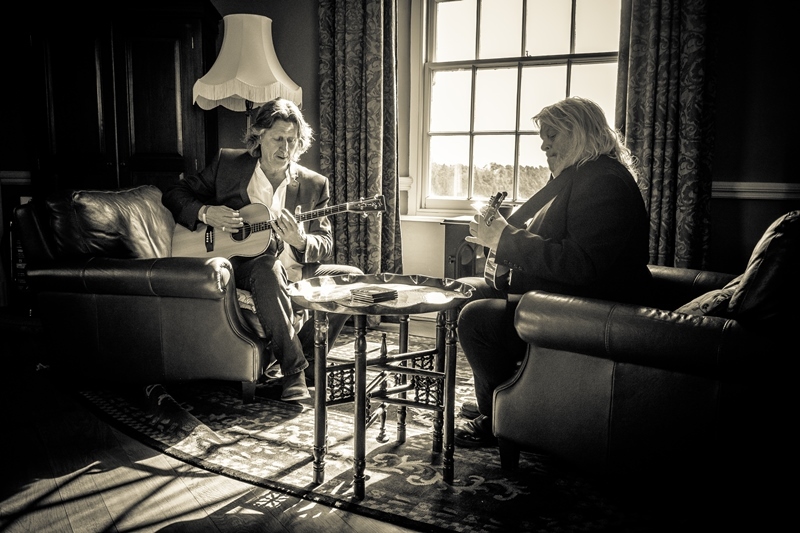 For well over twenty years the multi-talented singer/songwriters of British folk, Steve Knightley and Phil Beer have between them had over 25 album releases, won numerous awards including the prestigious BBC Folk awards and have appeared in front of sell out houses at the Royal Albert Hall. Steve, being a Hampshire Hog born in Southampton and Phil coming from Cornwall they played the Exeter pub circuit before taking off in different directions. In the mid 1980’s Steve returned to the West Country and Show of Hands was born. Steve Knightley and Phil Beer are two extremely talented musicians with a totally unique sound, usually joined by ‘third member of the duo’ Miranda Sykes who for this part of the tour is not joining due to the birth of her first child though she is scheduled to appear with them for their special Christmas Show at the Bridport Electric Palace, Bridport on 21 December. Stepping into the Poole show was Cormac Byrne (legendary percussionist of Seth Lakeman Band fame) to complete the Show of Hands autumn trio and give it a fresh new sound. Between the three of them they played an amazing set of just over hour and half, the show opening with a mind-blowing introduction by Cormac on his beatbox the sound of which perfectly blended into the folk music of the talented Steve and Phil. As you would expect there were many stories old and new with music covering their years in the industry including some of their more well-known records “Country Life”, “Santiago” before finishing the set with the classic “The Galway Farmer”. A special mention has to go to their support band “Alden Patterson and Dashwood”, a Norfolk based folk trio who themselves played a beautiful 40 minute set to open the evening, I’m am not one for predictions but I full suspect many of us have not heard the last of this talented trio, they will go far. 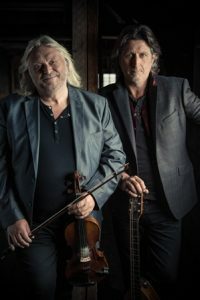 There are just four dates of this tour remaining with three of them taking place at the Exmouth Pavilion, Exmouth before their final date on 21 December at the Bridport Electric Palace.